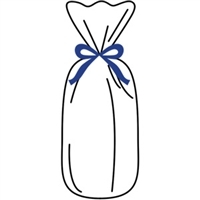 10 Clear cello treat bags measuring approximately 4" wide x 9" tall with 2.5" side gussets. Food safe and heat seal-able. 8 Crystal clear cello treat bags measuring approximately 5" wide x 11" tall with 3" side gussets. Food safe and heat seal-able. 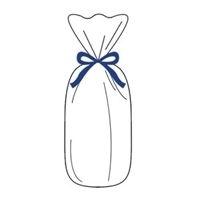 100 Clear cello treat bags measuring approximately 6" wide x 13.5" tall with 3.25" side gussets.